I love Spotify. When Beats first came out I went on the free trial and found that both the content curation and user experience (UX/UI) to be way better. For a first version I was amazed at how good Beats was. Back then Spotify was still a bit clunky and basic functions like searching your saved playlists by artist were missing from the app. But I stuck with them, for 3 main reasons. First, my playlists were all organized and saved – the main barrier to exit for most people. Second, I loved the social interaction (Facebook integration) and song sharing between friends as a personal discovery engine. Third, I had an emotional connection to the brand. Spotify pioneered the space well beyond anyone else and I wanted to see them succeed. 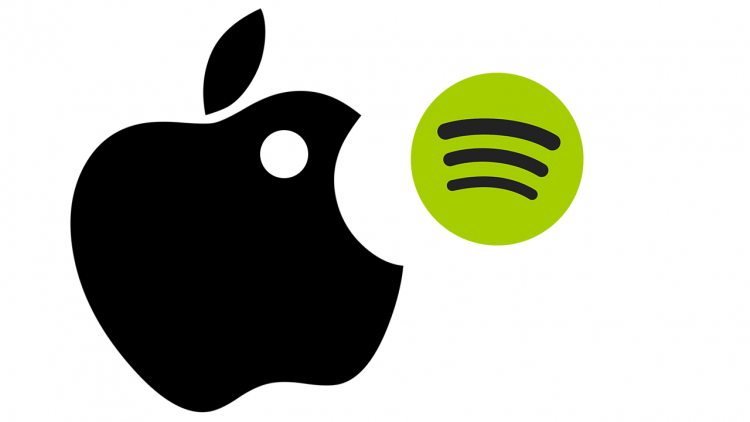 Spotify has come a long way since then, but one minor detail threatens their dominance on the iOS platform – Apple’s control of the hardware. If you use an Apple device to stream music while in your car or over a remote speaker, you will know what I am talking about. Whether over USB or Bluetooth, Spotify is never able to connect automatically because iTunes is more deeply integrated into the Apple hardware and gets preference when connecting through either of these methods. As a user, this means that every time you get into your car, you have to go through the same redundant setup to get Spotify to reconnect from scratch while iTunes gleefully plays in the background as it effortlessly connects. This may be a minor detail and may not represent a large enough % of use cases for Spotify to care, but it is reflective of a larger issue. Apple runs the hardware and its own apps get preference. But who wants to have to reset their Spotify connection each time they want to play some music? Users should have the same right to choose their default music player in much the same way that they are able to choose their default search engine or browser. If necessary, Spotify needs to take Apple to court to get this mandated. With Apple Music launching on the back of Beats, with a proprietary radio station and what will most likely be a superior user experience and content curation service all given away for free for 3 months, Spotify has to exceed expectations in order to overcome these obstacles or Apple Music has a solid shot at taking the lead. If you look at this objectively, outside of Apple’s live radio feed, both services are commodities as they access the same music with the key differentiators being Brand & user experience. Back when I tried Beats, I was on a free trial but it was only a couple of weeks and I was too invested in Spotify for the reasons I mentioned above. Had the free trial been longer, I might have switched. I love Spotify and want them to succeed, but if they are unable to focus on a seamless user experience that Apple may be blocking them from, Spotify will become a niche player as Apple takes the lead and that will be a sad day indeed. This entry was posted in All, Apps, Entertainment, Technology and tagged Apple, AppleMusic, apps, Beats, Beats1, digital music, Music, Music App, spotify, Streaming, Streaming Music. Bookmark the permalink. « The next big thing in digital content…those little cable channels you never heard of.